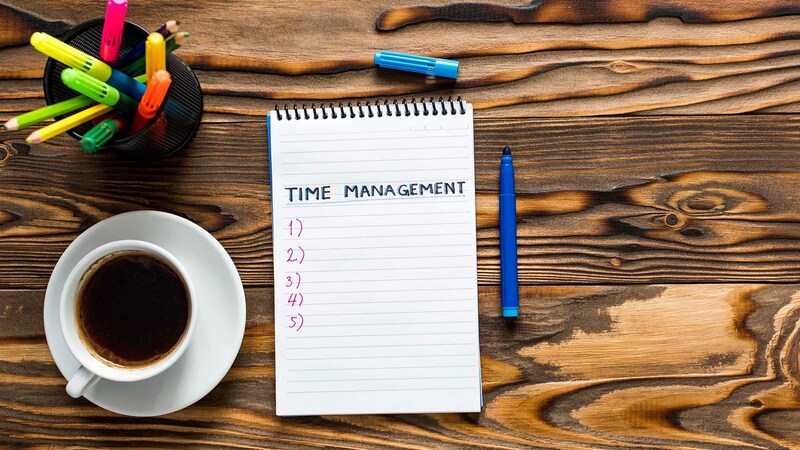 If you’re an entrepreneur, then you’ve probably done plenty of research to find small business time management tips to boost productivity. As a small business owner, you never have enough time in the day, so you need to use it well. But what about your team? 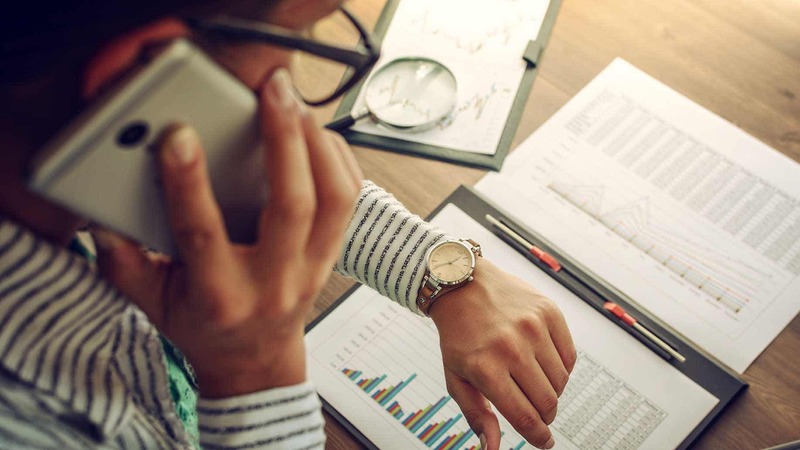 Unlike giant corporations, you don’t have a massive payroll budget, so every minute your team is on the clock needs to be used as efficiently as possible. However, workers in the United States have a productivity problem. We spend more time at work than most other industrialized countries, but all this extra time doesn’t mean we’re getting more done. In fact, productivity has generally been on a downward trend since the Great Recession. One of the best ways to increase productivity is to boost employee engagement because productivity and engagement go hand in hand. However, there are many other cost-effective strategies you can use to get more from your team. Before you implement any plans to boost your team’s productivity, it’s important to understand the psychology behind productivity itself. What, exactly, is it that makes some workers more productive than others? The answer is fairly simple. Research out of the University of Warwick found that when workers are happy, they’re 12% more productive. Happiness and a positive work-life balance often translate into workers who are engaged, committed, and most importantly, productive. If this sounds a bit too simple, look at the labor market in Denmark. According to the World Values Survey, Danes are the happiest in the world, and this includes the time they spend at work. The Ministry of Foreign Affairs of Denmark states that they’re also the second most productive country in the European Union. The OECD Better Life Index ranks Denmark and the Netherlands at the top of their list for countries with the best work-life balance. As you might guess, the United States is almost at the bottom. From this, we can reasonably conclude that the more you work to increase your team’s health, happiness, and work-life balance, the more they’ll return the favor with higher productivity. This, in turn, leads to higher profits for you, and a better working environment for everyone. It doesn’t take a huge payroll budget to help improve people’s work lives. There is a lot you can do as a small business owner to make things better for your team. It might seem counterproductive, but requiring your team to work less might inspire them to produce more. According to Fast Company, workers in Denmark typically work only 33 hours per week. And, they get at least five to six weeks’ vacation each year (along with up to a year’s maternity leave when they need it). In the United States, long hours are often seen as a sign of commitment. However, this can result in “presenteeism,” which is when workers are at work but not functioning at full capacity due to illness, sleep deprivation, or other medical factors. Harvard Business Review states that presenteeism can cut individual productivity by one-third. Long hours can also further reduce productivity due to stress, disengagement, and a skewed work-life balance. To combat this, do what you can to reduce your team’s hours. Let people go home early on Friday afternoons, or give them the flexibility to come in later on Monday mornings. Not only will this help reduce labor costs in your business, but you’ll likely find that your team will work harder in return. Reducing hours is one strategy to boost productivity; being flexible with those work hours is closely related. Everyone’s needs are going to be different, so talk to your people to find out where they need greater flexibility with their work week. For example, you might have one person who would love a longer lunch break on Tuesdays in order to attend a yoga class, while someone else would love to leave early on Wednesdays to pick up a child from daycare. Depending on your business, you may or may not be able to accommodate everyone’s needs. However, finding out who needs what, and doing your best to give your team more flexibility, will show that you care about their happiness and well-being. This, in turn, can boost engagement and lead to greater productivity. Every society has different cultural norms and values. And, these norms and values directly affect how we behave. In the early 1970s, psychologist Geert Hofstede developed a framework to measure these societal norms using Hofstede’s Cultural Dimensions. When you understand the unique dimensions of a culture and how their collective values differ from your own, you can become a better communicator and a better manager. So, what does all this have to do with boosting productivity in your small business? Well, quite a bit, especially when it comes to autonomy. It should come as no surprise that the United States has a high Power Distance Index; we’re ranked at 40. Denmark has the lowest Power Distance Index in the world; they’re ranked at 18. Danes have a rich and empowered work life in part because they have a great deal of autonomy. And, there is plenty of research that backs up what Danes have known for years: More autonomy = greater happiness = higher productivity. A study published in the European Journal of Work and Organizational Psychology found that workers who had greater autonomy and support experienced higher satisfaction and motivation. Another study, published in Nordic Journal of Working Life Studies found that decentralized decision-making (also known as autonomy) lead to greater productivity in Finnish workers. All of this points to the same conclusion: The more control you hand over to your team members, the happier and more productive they’ll be. It’s important to clarify that giving your team more autonomy doesn’t mean letting them do what they want, when they want. Every employee needs boundaries. But instead of telling your people what to do, tell them what you want to see and then let them choose how to do it. Having the freedom to choose how to do their work is an essential component of autonomy. Give your people the power to make their own decisions whenever possible. And, show that you trust them to do their work by stepping away. You might be surprised at how much more gets done when you hand over the reins. According to the Washington Post, a typical worker is interrupted or switches tasks every three minutes. And, it can take 20 minutes or more to return to where they left off. Interruptions are a huge drain on productivity, and they can rob us of our best ideas and effort. Although we often force ourselves to work faster to make up for lost time, the increased speed comes at a price. Researchers at Humboldt University found that workers who were constantly interrupted compensated for this lost time by working faster to complete their task. While this isn’t a surprise (after all, we all do it), this increased speed leads to greater stress, time pressure, and frustration. These factors can limit productivity in future tasks. The Washington Post interviewed efficiency expert Edward G. Brown, who suggests creating a Time Lock Agreement with team members. A Time Lock is an agreed-upon “quiet time” when everyone can simply focus on their work. With a Time Lock, workers have to agree, in writing, not to interrupt their colleagues unless there is an emergency. Brown states that one client estimated conservatively that personal productivity increased by 40% to 60% once they began using the Time Lock technique. Of course, your business might not be able to use this technique. Talk to your people about the types of interruptions they face on a daily or weekly basis. Find out which interruptions are most damaging to their productivity, and do whatever you can to reduce or eliminate them. Let’s start with a fictional scenario. In your business, you have two managers. Your first manager, Bill, monitors everyone on his team with the eyes of a hawk. If a customer complains, he immediately assumes that it’s his team’s fault, and he’s quick to let everyone know that he’s not happy with their performance. His team works in an environment of tension, mistrust, and fear. Sarah, your second manager, is the complete opposite. She treats her team like family. She’s quick to give someone a listening ear, and she’s the first to support a new idea or initiative. She always listens to both sides of a story, and when someone on her team needs her, she’s got their back. The atmosphere under Sarah is supportive, welcoming, and relaxed. If you were an employee, which manager would you work the hardest for? Your team needs support at work, and the first line of support comes from their manager, whether this is you or someone you’ve hired. If you want to boost your team’s productivity, you need to take a close look at your managers (or your own managing style). The best managers keep an open-door policy. This means that their door is always open for team members to come in and voice their concerns, ask questions, or discuss problems. If team members don’t feel comfortable communicating with their manager, or if they fear they’ll be judged harshly by revealing they don’t know how to do something, productivity is going to suffer. Next, make sure your team knows they can count on your support. Show this commitment day after day, and don’t be discouraged if it takes time to gain their trust (especially if the work environment has been toxic). Over time, your people will see that you’ve got their back. And, their commitment (and productivity) will improve. There will always be another phone call to return and another email to answer. The “digital creep” of 21st century working life affects everyone, boss, and employee alike. However, expecting team members to respond to emails at 10pm or complete work on their days off is not only unreasonable, it’s unhealthy. If you want to boost productivity, it’s important to recognize that your employees have a life outside of work. This also goes for lunch breaks. A study published in Academy of Management Journal found that productivity fell (and fatigue increased) when workers skipped lunch. It can be hard for workers to let go of work, especially in the United States (where, again, long hours are often seen as a greater commitment). So, let your people know that you value their lives outside of work. Ask them about their families and hobbies, and encourage them to schedule time for these activities and commitments just as they do with meetings and projects. You also need to lead by example. Invest time in your own family, hobbies, or spiritual pursuits, and talk about your interests to your team. Whenever possible, avoid sending emails to your people when they’re not at work. Last, make sure everyone on your team takes a proper lunch break; this means eating away from their desks, ideally outside where they can get some sunshine and fresh air. If possible, create a clean and inviting space for them to eat, both indoors and outdoors. You might think that higher stress would lead to decreased productivity. This is true, but only at a certain point. There is a magical plateau when stress can actually increase productivity. The Yerkes-Dodson Law, developed by psychologists Robert Yerkes and John Dillingham Dodson in 1908, dictates that performance and productivity increase as the level of arousal (stress) increases. However, if stress levels become too high, productivity starts to plummet. For example, how often have you found yourself up against a challenging deadline that you weren’t sure you could meet? Did you flounder, or did you produce some of your best work? If the task wasn’t too challenging, it’s likely you rose to the occasion admirably. This is the Yerkes-Dodson Law in action. When stress and complexity are at the right levels, performance skyrockets. Now, the tricky part is knowing how much stress leads to optimal performance. New or difficult tasks require less arousal for optimal performance, while well-known or easy tasks require higher levels of stress to increase motivation and productivity. This is why it’s important to look at what your employees are doing, and analyze how much stress might be associated with various tasks. You can then take steps to increase, or decrease, the level of arousal in order to boost productivity. Here’s an example: Imagine that you’ve asked Pam, one of your employees, to write this month’s customer newsletter. She’s done this several times already, and although she writes well, it typically takes her several days to complete the task. For her, this is a well-known task with low arousal, so she might be dragging her feet a bit. You might improve her productivity by making the task more challenging; for example, asking her to interview a customer for this month’s newsletter, or giving her a shorter deadline. On the opposite end of the spectrum is Daniel. You’ve just put him in charge of generating your businesses’ weekly financial reports. He’s still learning the process, and each week he makes several mistakes. It doesn’t help that the reports have to be completed no later than Friday afternoon. With his other responsibilities, he’s finding it almost impossible to meet this deadline. This is an example of a new and difficult task that also has high arousal (from short deadlines and task complexity). In this case, you would want to do whatever you could to relieve Daniel of some other responsibilities to lower his stress levels so he could then put more time and energy into learning how to generate the financial reports. It’s essential that you focus on balance when it comes to analyzing tasks and stress levels. If you increase arousal too much on the wrong tasks, you’ll end up lowering productivity. Another strategy you can use to boost productivity is to teach your team effective time management strategies. One popular strategy is the Pomodoro Technique, developed by Francesco Cirillo in the late 1980s. The technique is refreshingly simple. Using a timer, you work for a dedicated amount of time, typically 25 minutes. Then, you take a short break, typically 3-5 minutes. These breaks are called pomodoros, Italian for “tomato,” named for the tomato-shaped timer that Cirillo used when he was a student. After four pomodoros, you take a longer break, typically 15-30 minutes. The strategy works for several reasons. First, the ticking of the timer helps you stay focused on the task at hand. You can literally hear time ticking away, which can be incredibly motivating. The timer also reminds you to take short breaks. Research has shown time and again that frequent breaks actually increase productivity. A study published in the journal Ergonomics found that frequent, short breaks, especially when accompanied by stretching, resulted in higher productivity compared to taking fewer, longer breaks. Another study, published in the journal Work & Stress, found that frequent rest breaks were one of the most effective ways to maintain worker performance. Effective time management and frequent breaks are important. But what you do with your breaks is also important. Researchers with MIT found that when employees took breaks with colleagues in their social group, productivity, as well as the strength of the social group itself, increased. So, you can further boost performance by scheduling an employee’s breaks with those of a colleague they’re friends with. Performance can also increase when workers get outside for some sunshine and fresh air, so encourage team members to take a quick walk outside on their breaks. This is another area where you can lead best by example. Take frequent breaks, and make an effort to get outside for some exercise. Typically, small business owners never have enough time or money to do everything they want to do. But boosting productivity doesn’t require a big investment. Most of the time, it simply takes more awareness from owners and managers alike. If you’re a business owner, what do you do to encourage greater productivity from your team? If you work for a larger organization, what does your company do to increase productivity?